If we start from the position that knowledge is as infinite as the universe then the answer is no. To finish that quote- the man who claims to know all only reveals that he really knows nothing. Let me reveal how little I really know. I have been a regular visitor to Japan for the last two decades. A span of time that encompasses the bust of Japan’s boom years when stocks soared and confidence in Japan followed suit. It also covers Japan’s “Lost Decade”- the seemingly dreary years from 1991-2000 when Japan had to re-assess the direction they were taking following an economic crash. Since then Japan’s currency has risen and Japan is being “discovered” all over again. Japan’s economic boom of the 1980’s created a lingering perception of Japan as an expensive destination. A perception that was hard to shake. Certainly Japan is not a budget destination. Japan today is however as cheap as other nations- especially European- to travel. The modest growth in tourist number during he Lost Decade from 4 to 8 million visitors annually can be attributed in part to this perception and an absence of self-publicity. Already from 2010 to 2107 visitor numbers have jumped from 8.6 million to 24 million annually. Official Japan has seized the opportunity and Japan is now targeting 40 million visitors annually by 2020. Cities like Dubrovnik, Croatia have taken to limiting visitor numbers to 8,000 per day. Similarly the locals in Barcelona and Majorca are up in arms at their beaches being swarmed by ever increasing tourist numbers. Many countries are asking the question when is enough really enough. Japan- a country with little experience of inward migration- is bound to get more discerning as visitor numbers continue to grow. But for now there is a novelty factor at play- Japan is relishing its moment in the sun. And as a result more and more people are learning about Japan first-hand. Japan’s culture – once a self-enclosed harmonious bubble that served the group purpose- is now being experienced by tourists from an altogether different cultural background. The result? We’re about to find out and in the process get to know each other a whole lot better. Name 10 must-see tourist destinations in Japan! Not so easy I suspect. Most people will pick Mt. Fuji and maybe even the Hiroshima Peace Memorial and will mumble something about temples in Kyoto. Most will fail to name a world-class tourist attraction in Tokyo or Osaka. If you fall into the above category don’t worry – I do too. Japan has amazing places to visit. They’ve just not felt the need to share the information. Why publicise to a foreign audience? Besides in Japan they speak Japanese. It may be the world’s 9th spoken language but it is only spoken by the Japanese people who make up less than 2% of the world’s population. I once had the pleasure of teaching Japanese to some clever Irish students on a summer course and in the first class I challenged them to tell me what they knew of Japan. Lots. I asked them to name a Japanese person. The closest I got was Jackie Chan, Pikachu & Godzilla. That was probably the only question they failed that summer. Jackie Chan was born in Hong Kong. Godzilla is a metaphor for a destructive America born out the nuclear bombing experience. Pikachu is a Pokemon whose full name when introduced was Jean Luc Pikachu so I’m going to say he’s French for arguments sake. An archipelago of over 6,800 islands- if transported to Europe it would stretch from the tip of Norway to the bottom of France. Japan is home to the world’s largest city- The Greater Tokyo Area. Today Japan is home to 127 million people although by 2065 that is expected to drop to 88 million people. Unbelievably polite and this is one of the first things you notice as a visitor. Stay longer however and you might begin to see that while politeness is indeed a beautiful aspect of the Japanese people it follows certain rules. In Tokyo at least don’t expect a stranger to hold a door for you or anyone to help a mother carry a baby buggy down steps. The recent influx of international tourists has nonetheless caught Japan unawares. Just this year (2017) Kyoto issued an etiquette guide for tourists with a list of 18 “Don’ts” for tourists to the city. Be good when in Japan! 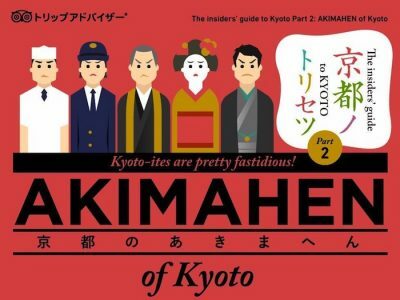 As “Akimahen” is the Kyoto dialect for “Don’t” the tone of the infographic is playful if not a little clumsy and gives an indication that perhaps politeness isn’t a spectator sport in Japan- time to learn the rules. Yes. Everything in Japan runs like clockwork including its people. If a train is over 5 minutes late an apology will be announced and delay certificates are issued to those who need them. If a train is delayed over an hour it’s in the newspaper the next day. Before the era of public transportation apps I learned to apologise in Japanese for my inability to get my act together enough to arrive on time. I became such an expert in apologising that I even once got an ovation for my candid apology-making. In short being late is disrespectful of the other and highly frowned upon. It wasn’t always so however. Before the advent of mechanical watches aside from a temple bell that broke the silence time was measured by incense clocks. The rate of incense burned was the yardstick by which time was measured, or at least, worked out. But the times they are-a –changing and there are signs that some of the younger generation are unwilling to conform. Only time will tell. In my experience the majority of Japanese are wonderfully kind if you define kindness as being of a good nature or mild and gentle. If you however define kindness as being kind to others then the answer isn’t so clear cut. My own experience of Japan has been largely positive and I have been on the receiving end of small and large acts of kindness that I am forever indebted to. But I speak English and a modicum of Japanese so that helps for sure. Japan in 2016 was 4th in Official Development Assistance among OECD countries after the U.S, Germany & Britain. Japan ranks 114th out of 140 countries on the World Giving Index- an annual report published by the Charities Aid Foundation which ranks countries on how charitable they are. Of course kindness can’t and should not be measured on monetary terms but the above facts show a Japan that is not so confident beyond the boundaries of its own culture. It also relates that fact that civil society is undeveloped and “international” acts of kindness are by and large left to the government. Not in my experience. I must quickly add that while more and more Japanese are unwilling to give unquestionably to their work they certainly keep busy and can work as hard at their hobbies and interests as their work. Dedicated is a more nuanced word. So where did this image come from? Japan’s meteoric economic rise from the ashes of war can be dated back to the 1950s. Prime Minister Yoshida whose main goal was economic growth struck a deal between corporate Japan and Japanese society. Companies would give workers life-time employment and in return workers would give the company their loyalty. As an economic plan it was faultless but its effects on Japanese family life are still felt today. 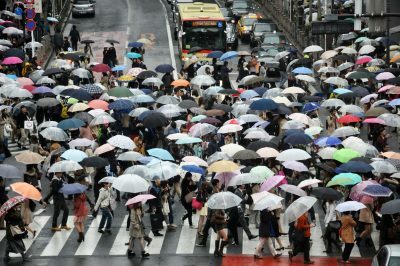 Japan’s fertility rate plunged. As more women entered the workforce and began working the same exacting hours as their male counterparts the concept of family changed. The cultural norms of post-war Japan’s economic miracle can still be witnessed today. Many Japanese find themselves unable to go home early and end up sitting at a desk unproductively or spending work evenings drinking with work colleagues- and in turn further reinforcing the idea of company over family. No Overtime Please, We’re Japanese! Recent years however have seen quite a backlash personified by the “Black Corporations Award”- an award for the most exploitative Japanese companies. Particular emphasis is given to companies who force workers to work overtime without pay. Some of the more extreme manifestations of this culture have made news headlines such as when an employee of Dentsu (one of Japan’s largest advertising agencies) committed suicide having worked 20 hour days. The Tokyo Labour Court adjudicated the incident to be caused from “death by overwork”- or “Karoshi”. A survey taken between December 2015 and January 2016 showed that 22.7% of companies had employees who clocked more than 80 hours overtime a month. The result of the polls gave rise to an alarming headline- “One-fifth of Japanese Employees at Risk of Death from Overwork”. Workers attitudes have changed but official responses have been less supportive. In early 2017 Japan’s Federation of Employers (Keidanren) announced a cap on overtime of 100 hours a month. Yes but again this answer comes with all the usual cultural conditions. Similar to politeness there is a rule-book for showing respect. Perhaps this little anecdote will summarise Japanese respect. I once saw two drunken businessmen go at each other- in words alone. Instead of punches – business cards were traded. With 127 million people crammed into the island of Japan with little room for manoeuvre there is no room for social conflict. Civility is practised in the form of respect and it works. Let’s be clear. Japanese are not loud and outspoken. Neither do the majority have overflowing confidence in their language skills when they meet our likes. Combine these characteristics with respect and politeness and the result is shyness. On the other hand mix with alcohol and a Karaoke box and you get to see a less reserved side. Shyness is a nut that can be cracked for most Japanese- it demands patience or copious amounts of alcohol. I knew which I prefer. Intelligence is not always rewarded or even valued in Japan. The virtues of humility and modesty are considered far more useful to society. The association is most likely an embarrassing remnant of the glory years of Japan’s economic rise when books written by non-Japanese supporters of Japan such as “Japan as Number One” fueled an insular navel-gazing sense of superiority among a select few. Nobody today – after two decades of economic decline- would take those claims seriously. So while I don’t subscribe to Japanese exceptionalism I do believe Japan can be proud of its results in the area of education- literacy & numeracy rates are high but critics still bemoan the lack of original thinking. Japanese – a Grouping People? While Japanese people can often be criticised for “group-think”- lacking in creativity or individuality I don’t think that’s entirely fair. Humans naturally gather together- the Japanese are simply like one large family. To be part of a group in Japan is to belong. This is a different take on the western view of being individual and wanting to stick-out from the crowd. Without allegiance to the group Japanese society would be less harmonious. Of course as a foreigner from a different cultural background there can be times when this is frustrating but equally there are times when it is admirable. Yes but they don’t expect you to be the same. As long as you’re respectful you won’t do too much wrong. Not sure that’s a compliment. Anybody remember Meryl Streep’s reply about her husband in the movie “Bridges of Madison County”? He’s clean. But yes the Japanese are clean and that’s not a bad thing thought it might not conform to your version of clean. For example it is common for the whole family to share the same bath water but if you are a house guest then you get to go first – so don’t let the water out. With the Japanese cleanliness starts in schools- students have to clean their classrooms and even the school itself. It can be really bizarre at times such as when ladies are asked to put a see-through bag over their heads in changing rooms so no make-up sticks to the clothes or when people have shoes boxes in their cars so people can sit in socks – and not muddy the car. The Japanese love of cleanliness is based on the religious morals of Shinto in an almost reversed version of the phrase “cleanliness is next to Godliness”. In Japan, everything must be kept free of physical impurity- bodies, cars, temples- you name it! If you attend a sumo match watch the sumo wrestler purify the ring with salt. Get a taxi and notice the cleanliness of the taxi and the crisp white gloves worn by the driver. It can get bizarre as I said though so keep an eye out for the touch-less toilets that open and close by using sensors- Japan is definitely clean. 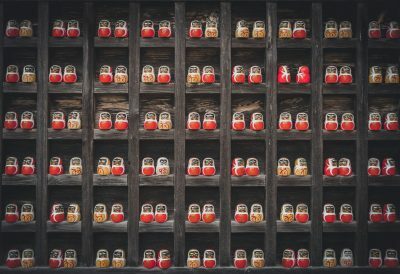 Please comment freely on this post as everyone’s experience of Japan and the Japanese will be different and I’d love to know your take!